Short Coach Biography: Ben is an actor/personal trainer in New York City. He trains at Liberated Fitness, New York Health and Racquet Club, and any open green space. Ben has studied with Erik “Esik” Melland, Erin Furry, Leo Urquides, Serana Elizabeth, and the Viking Ninja teams. 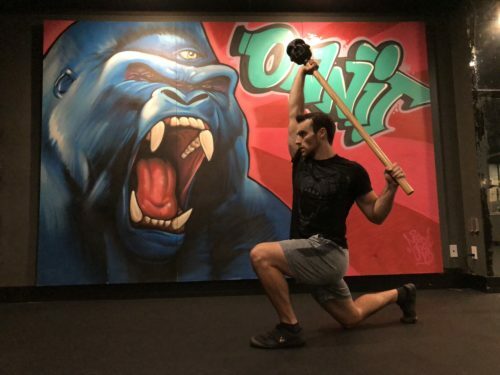 He combines all of these systems to bring a full spectrum is mace possibilities from the basics of squatting and pressing, to advanced complexes and flows.